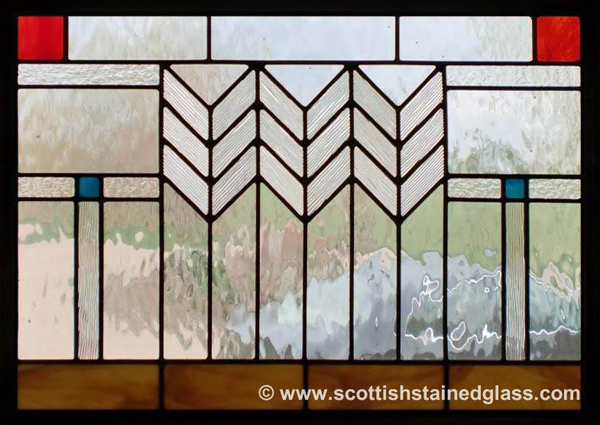 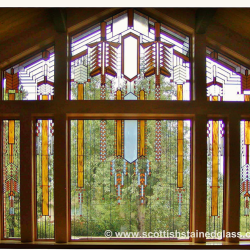 Geometric shapes: Wright typically used geometric shapes throughout his designs, and often incorporated different colors or textures of glass into individual shapes throughout a window. 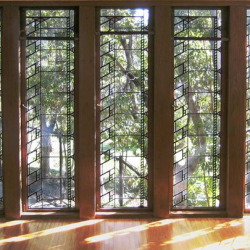 Straight lines: It’s typical to see a lot of straight lines throughout both windows, and other elements of design from Wright. 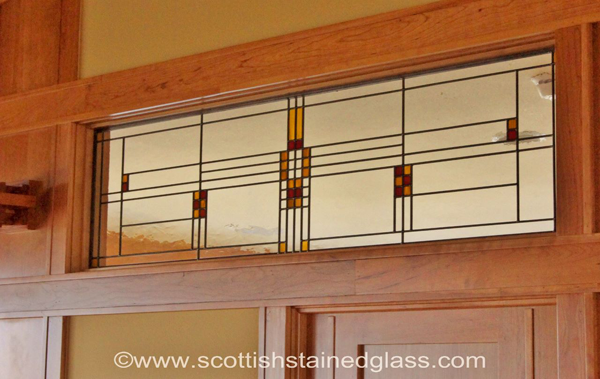 Details: Often, our window that are inspired by Frank Lloyd Wright are relatively complex with many pieces of glass to achieve that modern, geometric shape-filled overall look. 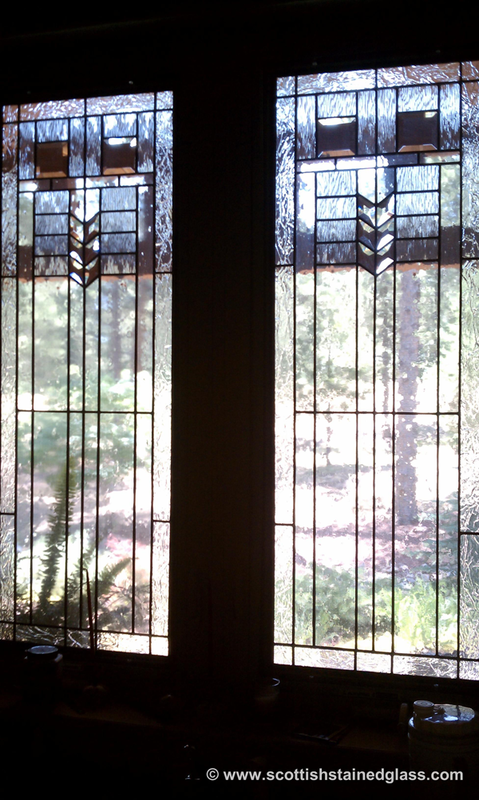 It’s all in the details! 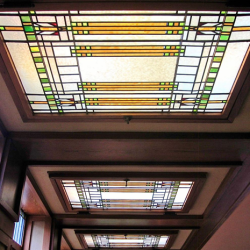 Earth-tones: While many of our clients today choose not to use color in their windows, Wright’s designs often incorporated splashes of natural, earth-tone colors throughout. 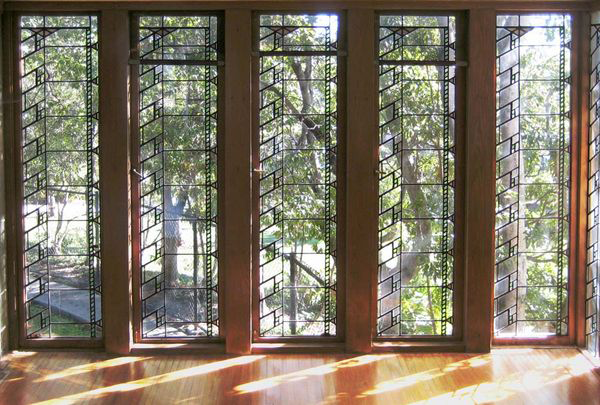 We can create windows with as little or as much color as you would like! 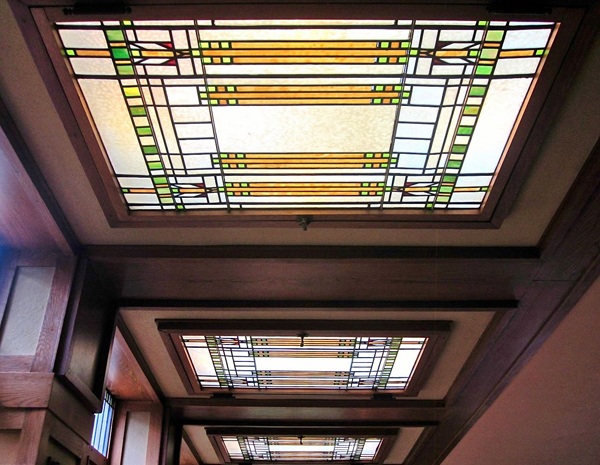 When it comes to modern stained glass, Wright’s designs are often popular throughout the Kansas City area. 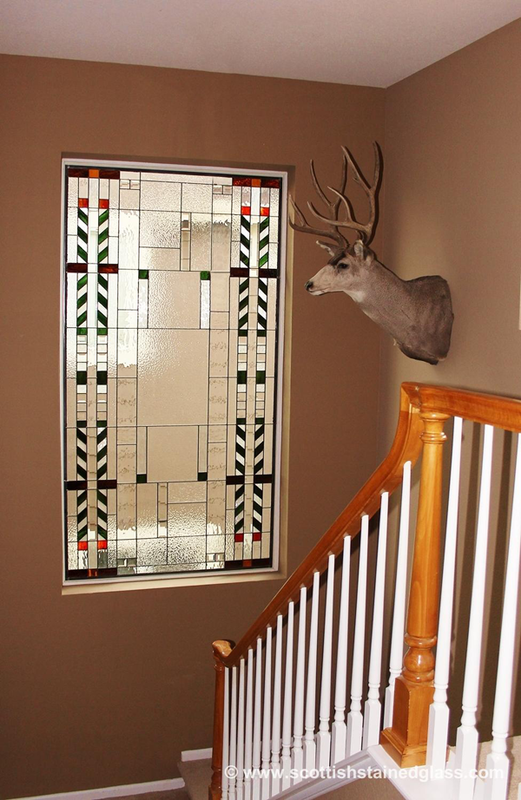 Our process for creating custom stained glass windows begins with an in-home consultation with one of our designers. 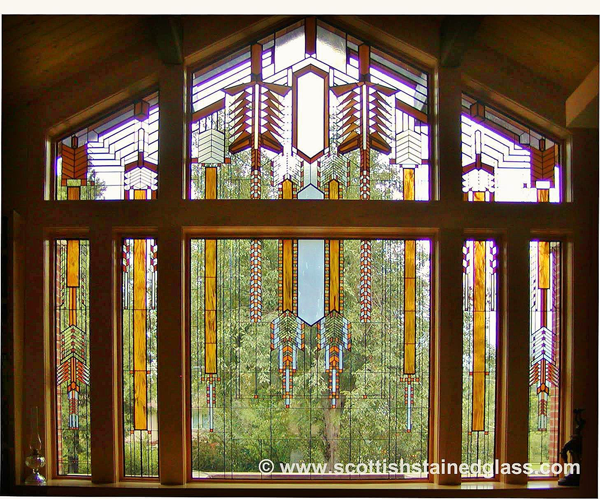 We will take the time to learn about what’s most important to you and your family for design, and we always have hundreds of photos of other Frank Lloyd Wright inspired windows that we have created. 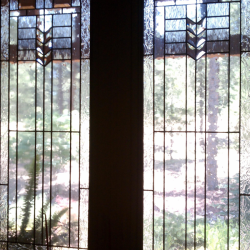 Finding a previous design that you like is a great starting point for your designer. 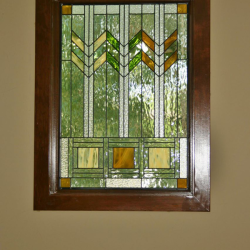 We can then tweak the design in terms of size, lead lines, and colors to find something that not only perfectly fits the window you have, but also perfectly fits in with your personal style preferences! 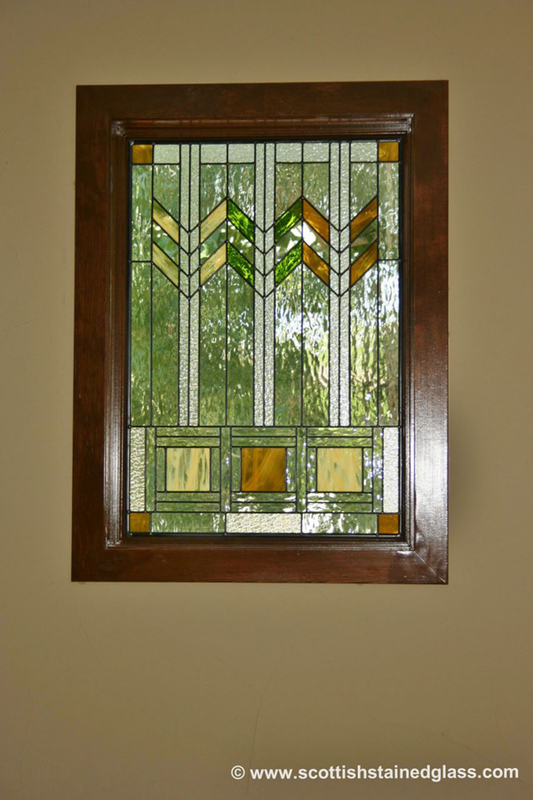 Some of the most popular applications include bathrooms, kitchens, entryways, sidelights, doors, and much more. 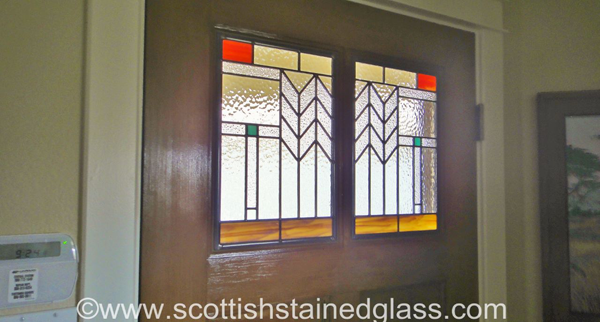 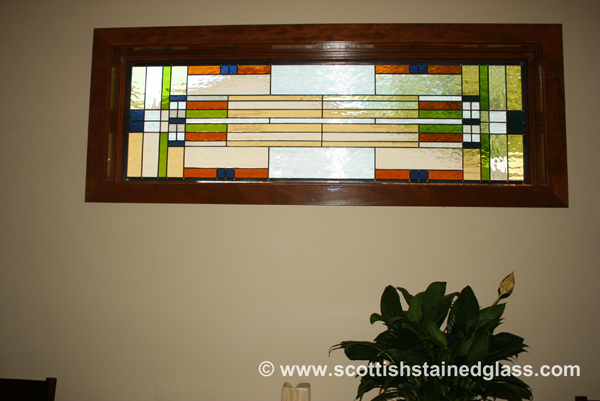 We even create commercial stained glass windows! 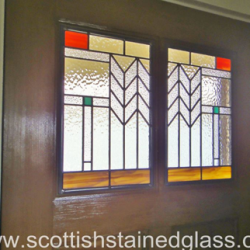 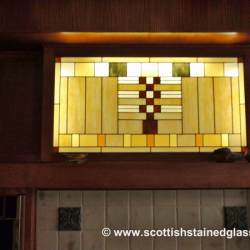 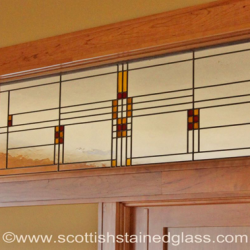 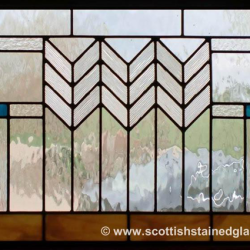 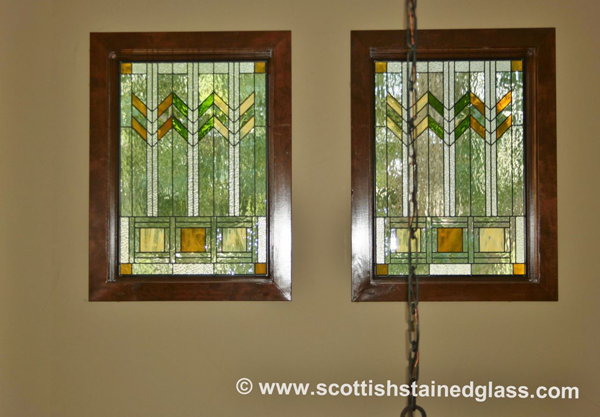 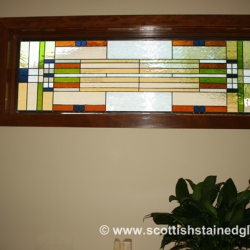 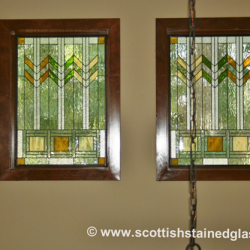 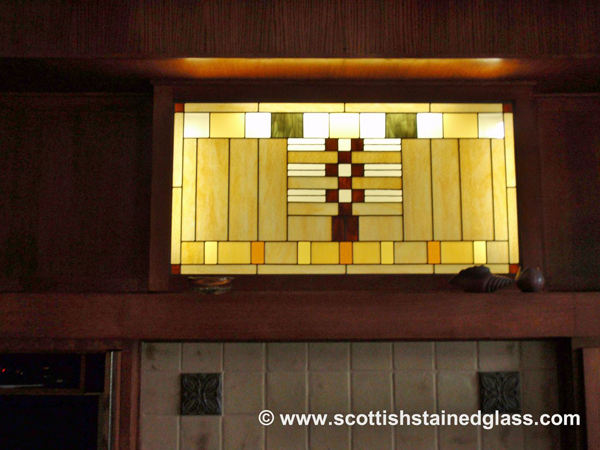 If you have any questions about our products or process, or if you would like to learn more about Frank Lloyd Wright stained glass windows, contact Kansas City Stained Glass today. 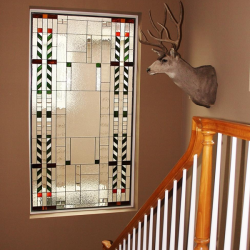 Our team is always available to answer any preliminary questions that you may have, and we can schedule your in-home consultation today to get started!